What is happening in the church community? Evil seems to be lurking too close lately. Someone walked in and killed a man in World Changers International Church last week and now this! Where are our watchmen on the wall? Forest Hill officers arrived at the church to find Birdow assaulting Kirk with an electric guitar, Police Chief Dan Dennis said. Kirk, 53, was pronounced dead at the church. 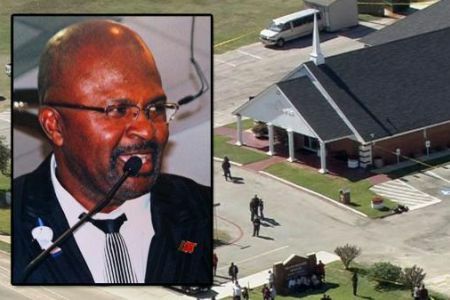 The North Texas congregation is still reeling after Birdow rammed a car into a church wall, chased the pastor, and beat him to death with an electric guitar Monday. We have to deal with issues such as anger, depression and mental instability in the church, just like we do in every other setting. What could have happened between the pastor and the assailant to cause such a bizarre reaction? Let’s talk about it, leave your comments below.